I stopped by Wanted Design this past weekend in NYC, a small fair showcasing product and furniture design from around the world, and one of several Design Week events going on in NYC right now. There was lots of interesting work (Design in Puerto Rico’s booth had an especially nice collection of objects) and the venue—The Tunnel—was an excellent choice with its designy atmosphere that integrates old and new NY so well. But it’s possible that, for me, the group that stole the show consisted of the SVA Product Design students and their ALSO! Project. No. 1―BOOM -Objects would have a lot to tell us if only they could speak. No. 2―HERE -Design moments, living unassumingly within the exhibition space. No. 3―MASK – Ephemera into facade―catalogue to camouflage via die-cutting. No. 4―TINY – How very different the world appears when scale is amplified. No. 5―WARP – The show via kaleidoscope; composition through a variety of filters. Bonus Track!―LIFT – Your telephone, on a journey, to and from a vantage point high above. I personally only interacted with three of the projects but witnessed two others in use. The students were very engaging and enthusiastic, happy to explain their project to everyone interested and eager to get people to interact. With informative stickers at the ready to paste on your arm or leg, and kaleidoscopic interpretations of the surroundings, as well as viewfinders with images focusing on some of the unnoticed subtleties of the venue, these young designers were excited about the event and what their project brought to it. And rightly so. 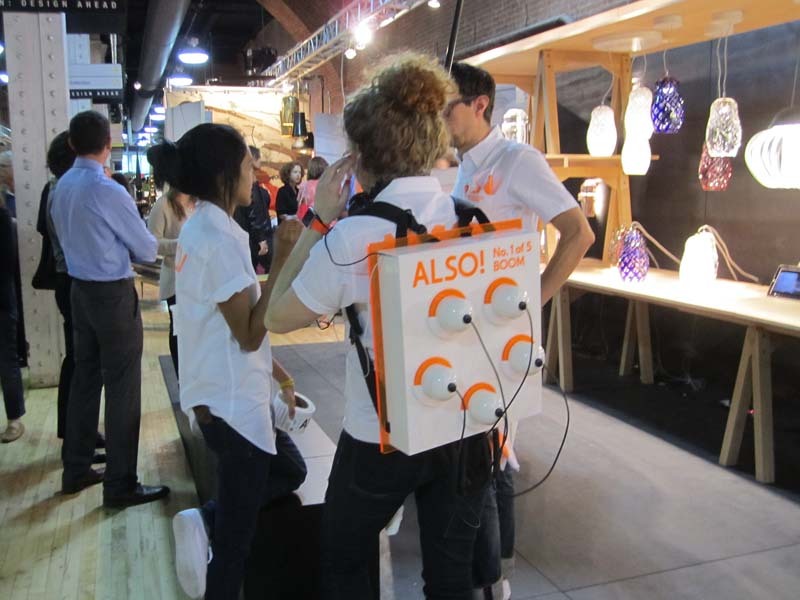 The Also Project showed creativity, interactivity, and focused on product design from function and form, through to branding, uniform-design, gadgetry and teamwork. Not to mention fun. 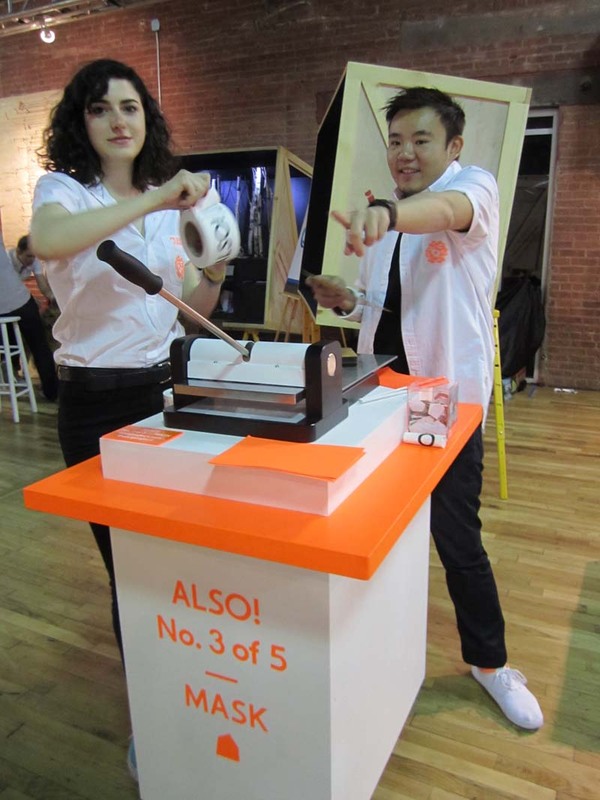 Hats off to instructor and industrial designer Sinclair Smith of SVA’s Products of Design MFA program for taking his students on this great design journey. You can read more about the Also Project here. Wanted Design is on through today 5/20 at 7pm. This entry was posted in Event, Fun, Graphic Design, Industrial Design, NYC, Stuff We Like. Bookmark the permalink.